Wine of Colchagua Costa, Chile. International Wine Challenge - awc-vienna.at - AWC Vienna Trophy 2012, 2013 & 2014. New World Producer of the Year 2016 - SWA Sommelier Wine Awards. San Francisco International Wine Competition - 2017 Best of Nation. 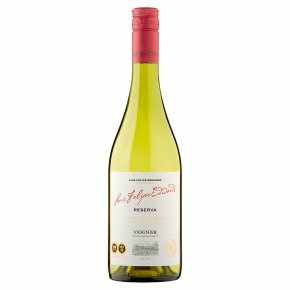 Best Chilean wine producer.Our Winemakers Selection Reserva Viognier is made from premium grapes grown in prime sites in Maule and Rapel Valleys. The ripe bunches are carefully harvested, then gently pressed to preserve all their natural freshness and varietal fruit characters. The wine is aged using French oak and kept on its lees to increase complexity and texture. The elegant qualities of this classic wine are a perfect partner for oily fish or white fish in rich sauces, as well as traditional roast chicken and Caesar salad.